You will never see it on a restaurant menu. The TV Food Network is unlikely to devote an hour to its history and preparation. It is one of the great forgotten foods of American culinary culture. I’m talking about the shad. The sole remnant of its once mighty role in the diet of Americans is its roe, and for a certain segment of avid pescavores it’s the line in the sand between winter and spring. 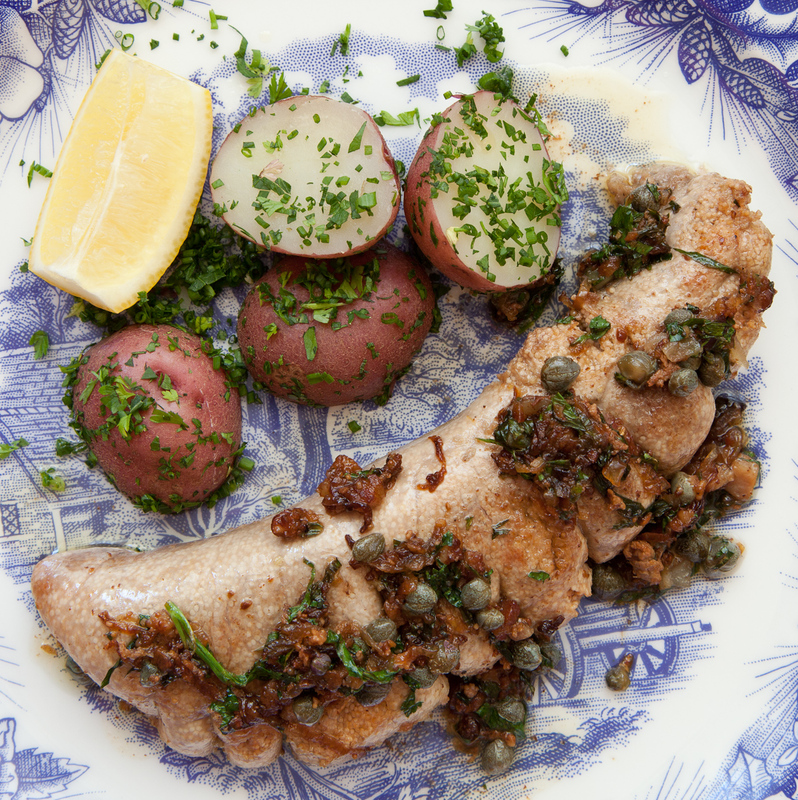 This week we’re going where food blogs don’t usually tread – Shad Roe with Brown Butter, Capers and Ginger. Believe me, it’s worth it. There is a story–a fish story?–proffered by historian Henry Emerson Wildes in his book Valley Forge about the importance of shad to the revolutionary war effort. In the spring of 1778 the tattered and hungry Continental Army was encamped in Valley Forge, Pennsylvania, where it had been since the onset of winter. Disease and malnutrition had rendered almost a third of the 12,000 men unfit for duty. With no solution at hand Washington feared that his enfeebled forces might soon disband as desperate soldiers drifted away in search of food. Salvation purportedly arrived on a spring current. Emaciated men accustomed to scavenging for mussels in the shallows of the nearby Schuylkill River were were met one morning with the sight of the water seething with an unbroken bank-to-bank mass of fish, the springtime shad run. Cavalry galloped upstream into the river where, following the instructions of local inhabitants, they beat the water with branches, driving the fish run back into the waiting arms of ravenous soldiers. Washington himself would have recognized the phenomenon. On his Mount Vernon estate he harvested shad from the annual James River runs which he then salted and exported on his own ship to to Antigua. The run lasted several days, feeding the army and allowing them to put up hundreds of barrels of salted shad for future use. Unfortunately, as the writer John McPhee details in The Founding Fish,* despite the story’s frequent repetition, it’s impossible to verify or track down contemporaneous sources. Over the years various versions of the story have appeared, including one attributed to the patriot Nathan Hale, who was hung by the British 1n 1776, and so could hardly have been a reliable chronicler of events that occurred after his death. What can be verified is that the British erected a net across the Schuylkill downstream in anticipation of the shad run and increasing the pressure on Washington. Whether the net was effective, or whether shad saved the day–no one either thinks it worthwhile to have recorded in the many surviving diaries and letters that date from the period. 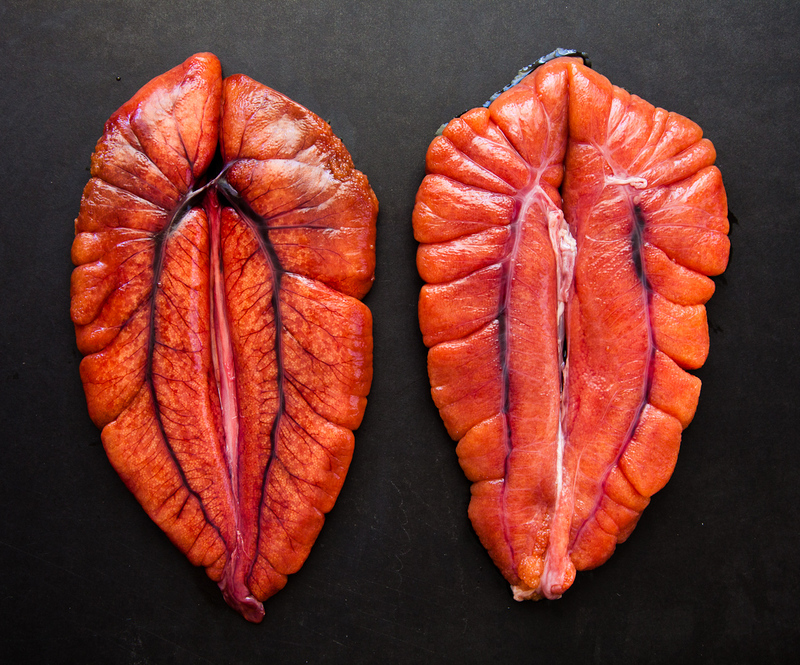 Shad–and its roe–is one of those peculiarities of American cuisine, with a following whose passion belies its numbers, and although it has been widely consumed on the Atlantic shore for centuries, first by native Americans and then by European colonists, outside its school of devotees the roe is little known. Fresh shad, considered too boney for modern tastes, might as well not exist at all. Early Americans were not so fastidious. Like lobster, that other luxury food once seen fit only to feed the Irish, shad has enjoyed an uncertain reputation, seen variously as a food for pigs, as fertilizer, as sustenance for the poor, and finally, especially after 1740, as a treat for gourmands. Few consumers plucking a bundle of cedar mini-planks from their spot between the panko crumbs and artisan dry rubs in the fish departments of Whole Foods know that the current fashion for grilling “planked” fish was already around in 18th-century Philadelphia. Planked shad is still offered up as a delicacy at various small town festivals in May and June from the rural Southeast up through New England. By now you’re either really curious or you’ve moved on to that site that talks about cupcakes. 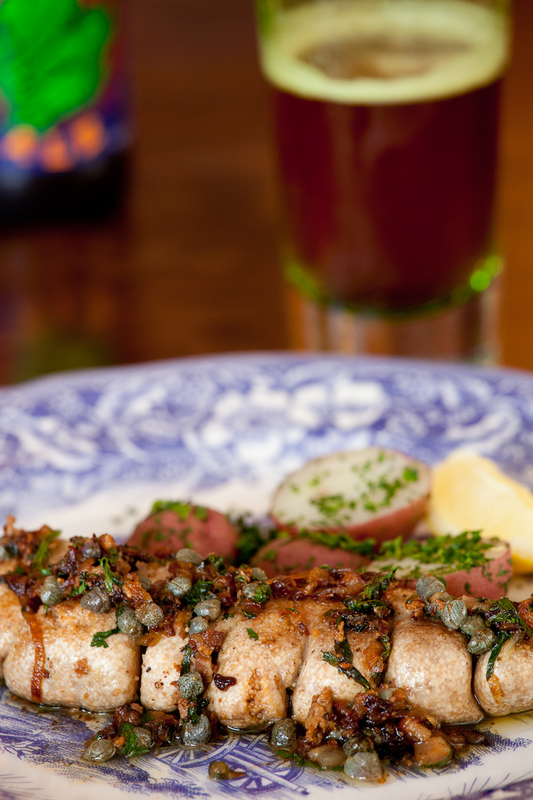 Let’s say a few words about shad roe. 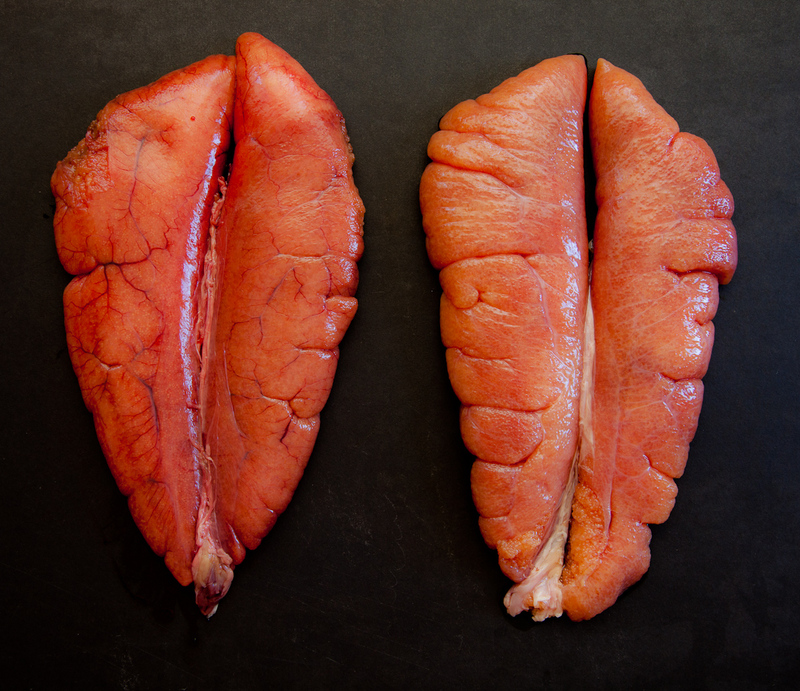 Unlike fresh shad, roe is widely–albeit briefly–available in the spring. Generally the roe is sold in in “sets.” Each set, the product of a single fish, contains a pair of roe sacs (see pictures). A single set typically weighs between 12 and 18 ounces. Few foods evoke the kind of ecstatic preambles that accompany shad roe recipes. As its fans will tell you, shad roe is like nothing else, marine delicacy married to a tender toothiness from the cooked eggs. To my mind the flavor of soaked roe (see below) recalls swordfish, if swordfish had nutty overtones and a completely different texture. Cooking roe in a pan involves a certain finesse. It must be done, as the Wicked Witch of the West says, delicately, taking care not to rupture the roe sac. By keeping the sacs whole and keeping the heat low you preserve the texture of the eggs. Ideally the eggs should cook evenly–and not too much. The goal is to produce cooked roe with a bit of resistance to the bite, but not firm crunchiness. Because two sacs come in a set, a single set has become the standard for two people. We cook a set–you get one half and I get the other. As you can see from the venous structure in the photos, when you first meet your roe sac it’s going to have a fair amount of blood in it, and this affects the flavor. IMO it’s absolutely essential to soak the roe in a mildly saline water overnight. If unsoaked, roe has a strong “dark meat fish” flavor. Despite my love of bluefish, mackerel, and other fishy seafood I find unpurged roe unappealing. Jody disagrees**–and I have to say that many lovers of shad roe come down on her side. If this is your first venture into the world of shad roe, take my advice–soak first, ask questions later. 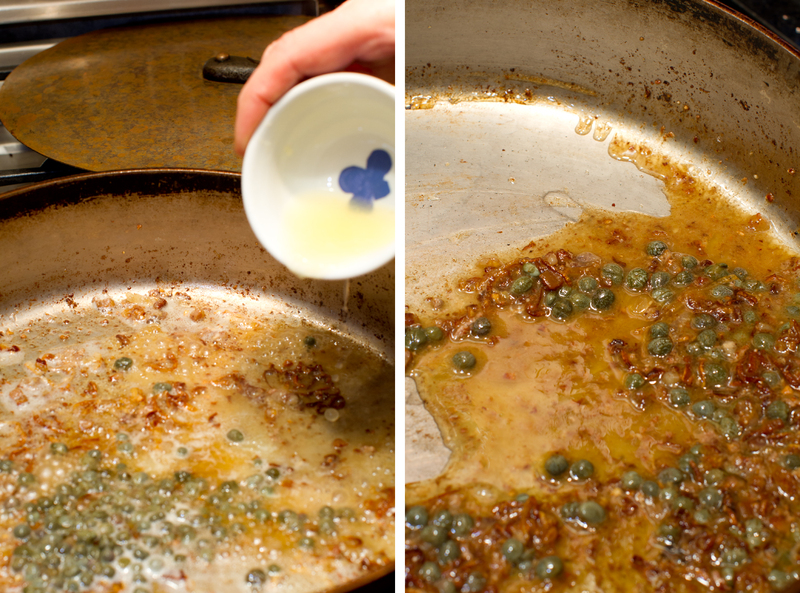 Regardless of how roe is prepared, it’s rich, particularly with the classic brown butter and capers. Rich flavor + butter. Speaking from direct, recent experience, half a set is A LOT of roe. Jody and I agreed we could have split a single roe sac and, somewhat grudgingly, have been okay. Our experiments for this post left us with more roe than we could comfortably eat at one sitting. I was beginning to have visions of myself as a Franklin- like figure easing into one of the thermal springs of 18th-century Bath, England, along with my fellow afflictees with gout. Nevertheless, leftover shad roe in the fridge is a gift from the gods. Jody’s been spreading shad roe on toast for a luxurious breakfast. On Saturday we (okay, Jody) made fresh tagliatelle for dinner guests, serving it with a sauce made from extra virgin olive oil, roe and parsley. Leftover roe stirred into slowly scrambling eggs elevates the dish into refined complexity, the sort of thing that can drive a man to popping the cork on a bottle of Chablis at breakfast. Restraint in all things. I’ve portioned our remaining hoard into small snack bags and buried them in the freezer. Last spring I found myself cycling early on a foggy Sunday morning through Valley Forge National Historical Park. An arrowed marker identified a field stone farmhouse on a nearby creek as Washington’s headquarters. I got off my bike and poked around. It would be hours before any of the buildings opened. A quick scan of the nearby plaques added to my small store of Washington knowledge, another informed me about 18th-century pollution in the Schuylkill from early manufacturing. Nothing about shad. Ah, well. Sometime late next December, when the howling wind is predicting bad things to come, I’m going to defrost a packet of shad roe and add it to seafood risotto, and when people ask about that tantalizing mystery flavor, I’ll them the story, probably apocryphal, about Valley Forge and the savior shad and the distant arrival of spring. *For this story as well as the history of shad in the American diet I am deeply indebted to John McPhee’s great treatise, The Founding Fish (Farrar, Strauss and Giroux, 2002). **She’s fine with it either way. Make a solution of 1½ quarts water and 1½ tablespoons salt and stir until dissolved. Add the roe and soak overnight in the refrigerator. The next day, drain and pat dry. 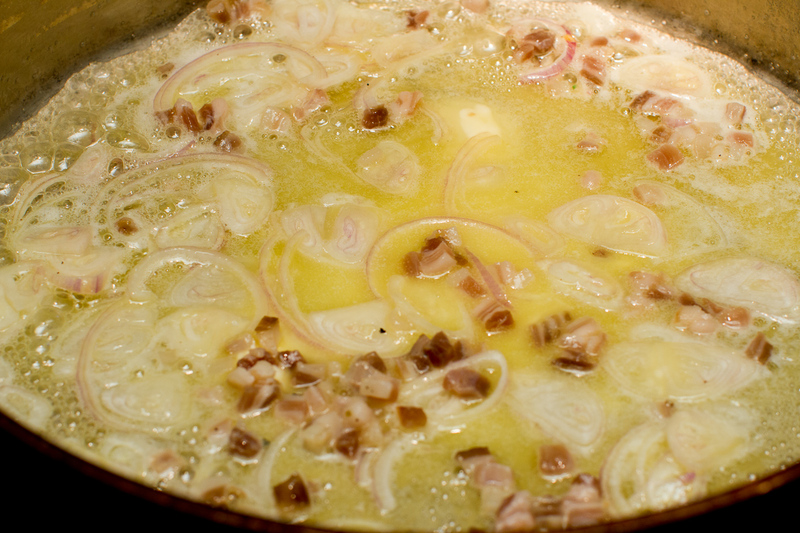 Combine the bacon, butter and shallots in a large saute pan over the lowest heat and cook 3 minutes or until the bacon starts to render. Add garlic and ginger and cook 30 seconds, then add the roe and baste with the butter. Cover all but 1 inch of the pan with a lid and continue to cook over low heat, basting with the fat every 3 minutes or so for 10 minutes. Carefully turn the roe, and cook 5 minutes on low, continuing to baste the roe. Increase the heat to medium high to sear the outside, about 2 minutes. The lobes should be just cooked so they’re still springy to the touch with tender opaque eggs. Transfer to a cutting board, separate the lobes with your hands or a knife and trim off any excess membrane. Arrange on 4 warm plates. Add the lemon, capers and parsley to the pan off the heat, taste and season with salt and pepper if necessary and then spoon the pan sauce over the roe. While the roe is cooking wash and scrub the potatoes. Put the potatoes in a pot and cover with water by 1 inch. Add salt, bring to a boil and then decrease the heat to low. Simmer until just done, 5-8 minutes. Drain, cut in half and then return to the pan and toss with the chopped herbs. Serve the roe with the potatoes. This is quite rich. All you need in addition is a simple green salad. Two sets, top view. The set on the right was soaked overnight. Notice the pale pink color and absence of veining. The same two sets, underside. The difference is even more striking on the underside. In our cookbook, “In the Hands of a Chef” I have 2 recipes for shad roe, and in both cases, I poach the roe very slowly in a court bouillon first to help prevent it from overcooking when seared. In this recipe I wanted to try a different technique and started by soaking the sets in salt water overnight instead. I believe it accomplished two things. It leached out some of the blood, which gave the roe a sweeter flavor, and it made the eggs themselves more tender as they soaked up some of the salted water. Instead of searing the roe over medium-high heat for a short amount of time as many recipes suggest, I cooked them first over a low heat until almost done, and then increased the heat to sear just one side. The eggs were evenly cooked through and all of them remained tender. When cooking on a higher heat, on the other hand, it’s easy to overcook the eggs closest to the surface of the roe sac while leaving the ones deeper inside under done. 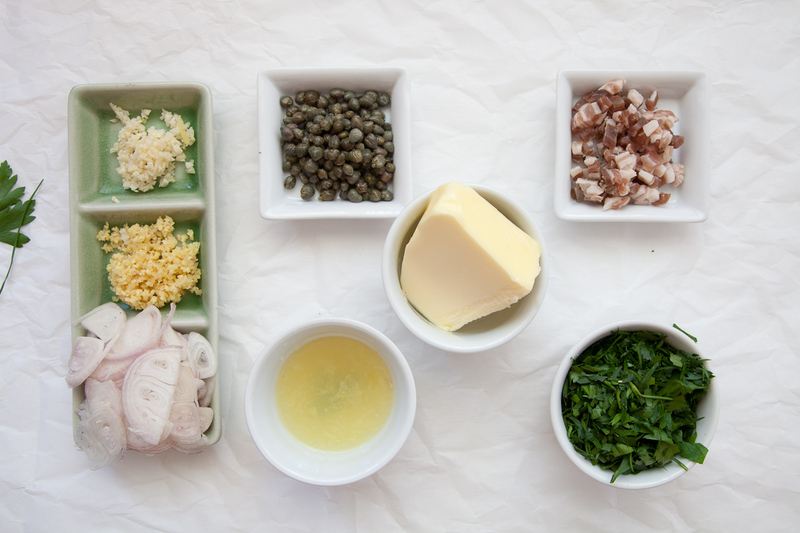 The ginger is my addition to a classic flavor profile of capers and bacon for shad roe. It marries well with the nuttiness of the brown butter and adds a welcome kick to the richness of the dish. This entry was posted in Entree, Seafood and tagged brown butter, capers, fish, ginger, Potatoes, roe, sauté, seasonal, shad, shad roe, spring. Bookmark the permalink. Sounds wonderful. I have always wanted to try Shad Roe but have been intimidated. Question: When freezing the extra roe, when is that done? 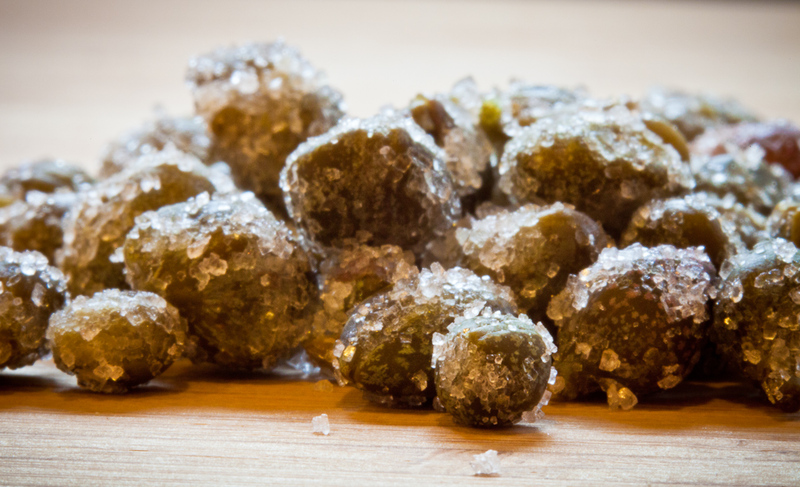 Before or after salting, before or after cooking? Love your posts. Can’t wait for the next. “By now you’re either really curious or you’ve moved on to that site that talks about cupcakes.” Great line! Put me in the former camp. AHHHH! The “marrow” of the fish world: marvelous! If shad roe is half as good as your writing (this post has particular “flava” as the rapper Pit Bull might exclaim), then I’m a convert! By the way, I finally got around to enjoying eggs, preserved lemons, etc. over steel cut oats. I’m sure rappers have a word for how obscenely satisfying it was, but this is a family-friendly blog. Ingredients: “2 sets shad roe, about 6 ounces each.” A whole set is 6 ounces, or half a set? This recipe looks yum. The Harvest used to serve shad roe in season. Only the most discerning customers ordered it. Your presentation, plating, and pictures look lovely! I would love to try this. Sadly I don’t know where I would get the ingredients. 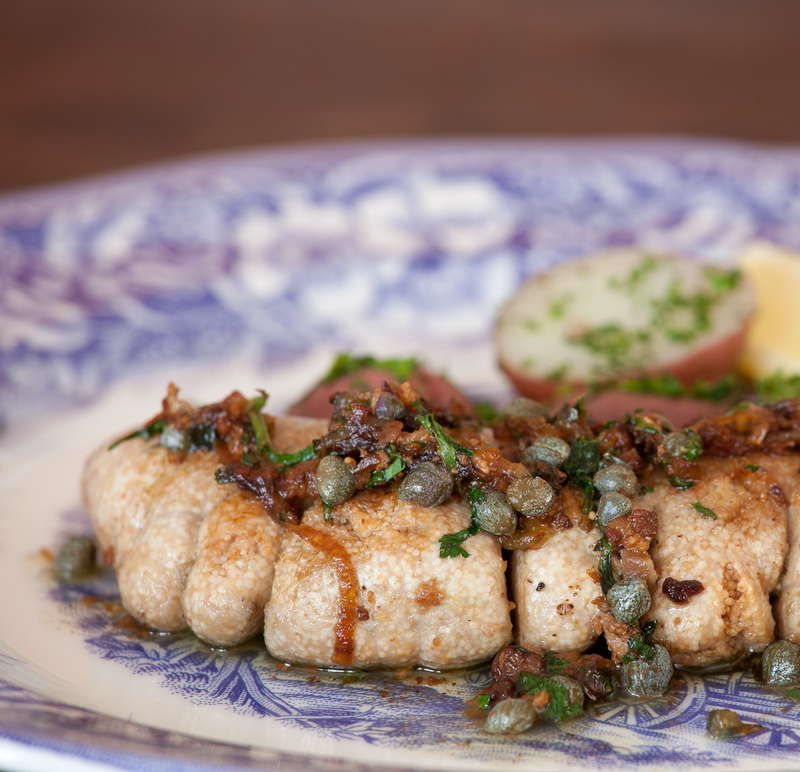 I have been enjoying shad roe every spring since I was a young girl in the 1950s. I am on tenterhooks waiting for shad roe to be available at the local fish market. It was a delight to read your post with its beautiful photographs. Thank you! So I grew up in Southern New Jersey— farm country— where my 84 year old mother still cooks planked shad in front of our huge colonial kitchen fireplace every single spring. The roe is the best part! I sent her your suggestions for how to cook it, and think she’ll be thrilled to learn some fishmongers actually debone the fish for you. Thanks for including this rich history. I’ve never heard of shad (or shad roe). Is it only available on the East Coast? This is so wild–every time I answer somebody’s question it takes me down another strange avenue. American shad are not native to the Pacific, but their enormous popularity in the 19th century prompted enthusiasts to transport fingerlings from the East Coast, particularly the Susquehanna River system in Pennsylvania, to the West Coast, notably to the Columbia River and Sacramento River systems in the 1870’s and 1880’s. Fortunately shad seem not to have been disruptive to other native marine life. Not only do both West Coast river systems now have thriving shad fisheries, but shad have been sighted all the way from southern California to Alaska. Today the Columbia River is particularly known for its shad (fingerlings from the Columbia River have even been transplanted back to Pennsylvania where shad had been failing!!!). Whether shad is known to general consumers is another question–the fish and roe are definitely there. Ask your fishmonger if he knows about it. I’d be interested in what you find out. Good luck. I am the 84 year old mother mentioned above. We do get boned shad and it saves a lot of work in the eating, but we think the flavor of the shad with the bone left in is a better flavor. Since I serve people who have never had it, we often cook both and let them decide which they prefer. I freeze both the shad and the roe, with success. I have never soaked the roe, and always cook it in butter, on medium heat, turning it when brown on the first side, salting before I turn it. Total time ten or fifteen minutes. We loved this, and served it with fingerlings and arugula, which captured all those wonderfully garlicky bits of bacon beautifully. Clara was at a birthday party and when we picked her up we told her we had had shad roe for dinner. Her response: “Lucky!” Gotta start buying two pairs . . .
hey… so good to hear from you. Clara rocks! It’s amazing what a good soaking can accomplish. And bacon two weeks in a row? Nothing wrong with that! Great recipe, but I don’t believe we get this in our neck of the woods so will have to wait til our next trip to Boston. I so enjoyed reading this blog post. Lots of interesting historical facts to ponder over. My husband and I love roe but I have not tried shad roe – I wonder where I could source some – maybe Billingsgate Fish Market! I also loved the sound of all the various ways you ate the left overs. 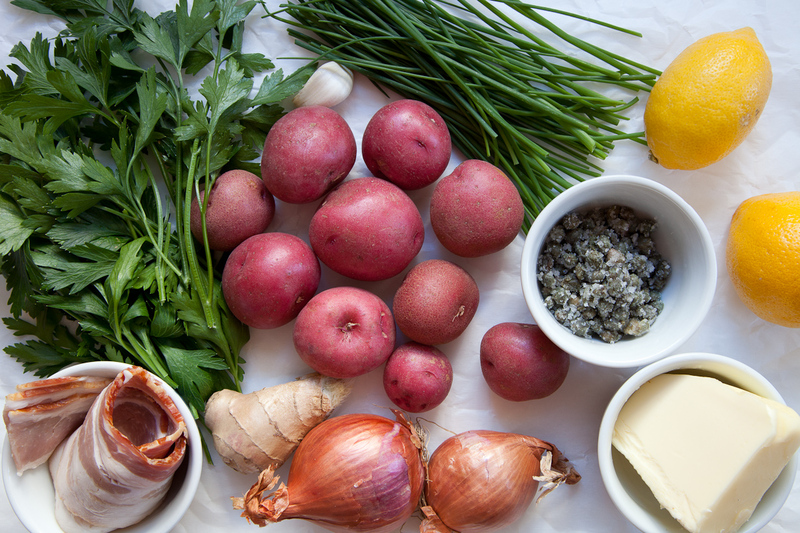 Eating in your household always sounds like a wonderful culinary adventure. I must say your recipes are always spot on and definitely the types of dishes that I love to eat. oh. my. gawd. So happy to see shad roe in the case at New Deal this week. So much happier to have for dinner. saw this post after the season last year. thx! What’s up, just wantwd to mention, I loved this post. Sometimes it’s a bit dangerous for me to venture into the grocery store–I happen on to something that I hadn’t planned to buy. That happens especially with some seasonal specialties that appear without warning because you never know quite when they are going to be available. So we’ve had groundhog day, and we’re looking toward the vernal equinox (20th of March, I believe)–all suggesting that spring is on the way. I have a particular sign of spring that I’m always looking for: shad roe. Today I made it’s unpredictable appearance at my local Harris Teeter fish market. I never know quite how I’m going to fix it once I get it home–but it usually comes down to something with brown butter and some other seasonings like lemon, or something very simple so that the focus is the shad rod itself. Whilst skulking about on the web, I found this delightful post about it’s history and preparation that I want to reblog to share–I couldn’t do better. Really appreciate the history here. 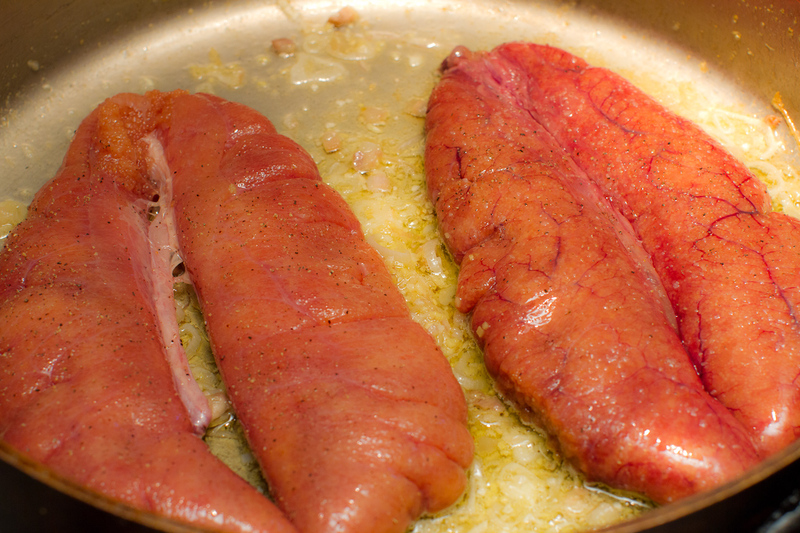 The seasoning and preparation really make shad roe delicious! Look Delicious, I hope I could find the ingredients and prepare it just like you did. Well cooked and beautifully served.